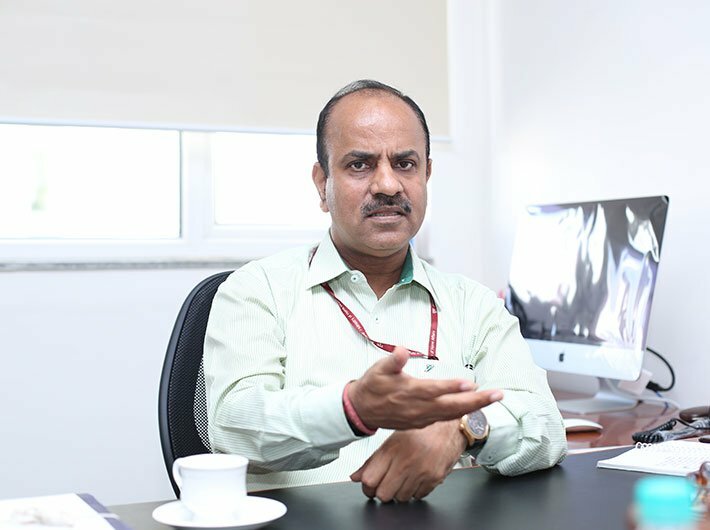 The Ahmedabad-Mumbai bullet train will have a few general category seats in order to accommodate people who do not have reservation, says Achal Khare, managing director of the National High Speed Rail Corporation. However, Khare clarified that the bullet train will not be as subsidised as the Indian Railways because of its operational costs and other factors. The lowest fare between Bandra Kurla Complex (BKC) and Thane in Mumbai will be around Rs 250 and the comfort which the bullet train would offer would be far superior to the local train and cab services like Ola and Uber. “Currently one has to shell out somewhere around Rs 600-800 to commute between BKC and Thane in the AC cabs but people who do not reserved tickets can undertake journey in the bullet train in the unreserved category,” Khare said. The Mumbai-Ahmedabad bullet train would have 12 stations— i.e. Mumbai, Thane, Virar, Boisar, Vapi, Bilimora, Surat, Bharuch, Vadodara, Anand/Nadia, Ahmedabad and Sabarmati. Two depots have been proposed on either ends of the corridor one near Thane and one near Sabarmati Rail Depot. The standard fare between Ahmedabad and Mumbai would be around 1.5 to 2 times of the existing fare of AC first class. When asked whether the corporation would tender an apology to passengers if a train gets delayed or leaves early due to some reasons, Khare replied that the corporation is trying its best to emulate all the best practices of passenger services and culture of Japanese bullet train operator. According to reports, a Japanese railway operator had to tender an apology for the after a high speed train departed 20 seconds early in November 2017. The Tsukuba Express train linking Tokyo and the capital’s northern suburbs left Minami Nagareyama station at 9:44:20 instead of 9:44:40. “360 officials from operations department will go to Japan and will take training to mould our people into a different culture so that we can adopt and achieve the results which Shinkansen is achieving in Japan. The training will vary from 3 months to 9 months. About 80 out of these 360 officials will be given ‘on job’ training in Japan and we will utilise them along with Japanese experts to impart training on other Indian officials at Vadodara based institute which would come up in a few years,” Khare said. He further said NHSRCL has requested Japanese counterparts to share their customer service manual to adopt for the proposed Indian bullet train. He said the NHSRCL would be using E-5 series of Shinkansen bullet train which can run at a speed of 320 kmph and the average speed would be around 250 kmph. The cost of land acquisition is around 10,000 crore which would be borne by Government of India. The corporations need around 1400 hectares of land in Maharashtra and Gujarat to execute the project. The construction of the bullet train project would kick off by January 2019, Khare said, adding that it may begin soon depending on the acquisition of land. There will be no free entry at the high speed railway stations and there will be optical reader enabled tickets which will have to be scanned to get an entry. Khare also shared the design of Sabarmati station in Gujarat of the Ahmedabad-Mumbai bullet train, having the theme of Mahatma Gandhi’s Dandi March of 1930.